Y&R New Zealand won big at last night's D&AD Awards as UK startup What3Words took home one of the evening's two coveted black Pencils. Steve Henry, the co-founder of Decoded and a founding partner of defunct agency HHCL, was presented with the President’s Award at the show, which took place at Battersea’s Evolution in the UK Thursday night. "Steve Henry’s work and approach has inspired, shaken and awoken a generation of today’s creative directors," said According to D&AD president Andy Sandoz. "Populist TV, diversity, tech startup, purpose and education – it’s all here. As engaged today as ever, he’s the person I most enjoy trying to re-imagine the industry with over a cup of tea." On the night, Y&R New Zealand topped the ad agency leader board winning six Yellow Pencils, one Graphite and one Wood for its "McWhopper" campaign for Burger King, as well as one Wood Pencil apiece for "living memories" for Brake Road Safety NZ and "actual reality" for Jaguar Land Rover. Burger King was also the most awarded client at the awards. Abbott Mead Vickers BBDO and Droga5 were both the second-most awarded (using a points-based system in which some pencils are worth more than others) agencies at the event, while Grey London took fourth place. What3Words was the most awarded design-based company at the awards ceremony. The UK start-up won a black pencil and two wood pencils for "the world addressed," a website that allows people to search for any location on the planet (accurate to within three square meters) by typing three different words. Tokyo design agency, iyamadesign, won the evening’s only other Black Pencil, for the event space it created for masking tape manufacturer Kamoi Kakoshi at Mt Expo 2015. In 2015, five Black Pencils were awarded. Three White Pencils, which are awarded to work that does good, went to Ogilvy Brasil’s "security moms" work for Sport Clube do Recife, Seymourpowell for "Fairphone2" and M&C Saatchi Australia for Optus’ "clover buoy" work. D&AD also introduced two new categories into its awards in 2016: media and PR. 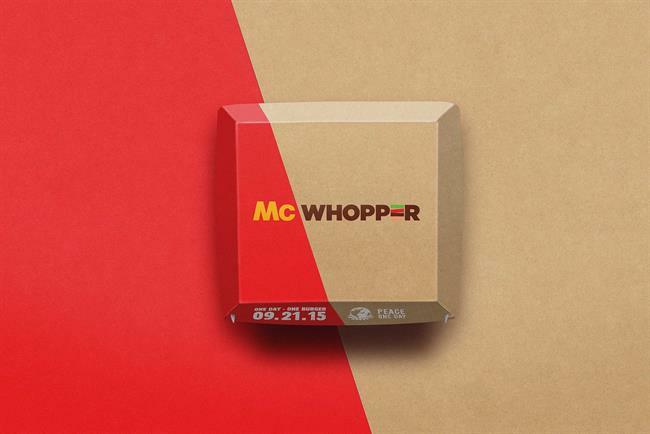 Agency Miami and Leo Burnett Solutions were awarded Yellow Pencils in media, for the "McWhopper" campaign and Asiri's "the world's first soap bus ticket," respectively. There were four Yellow Pencils in the PR category: Valspar's "color for the colorblind" by FCB Chicago, No somos delito's "holograms for freedom" by DDB Spain, Burger King's "McWhopper" by Y&R New Zealand and It's Not OK's "paradise hill" by FCB New Zealand. British animator Daisy Jacobs was presented with The Next Director Award.